This diagram, made by Olaf Frohn, comes from his blog, Armchair Astronautics. He keeps an updated list of all current probes (one of the best updated sites). 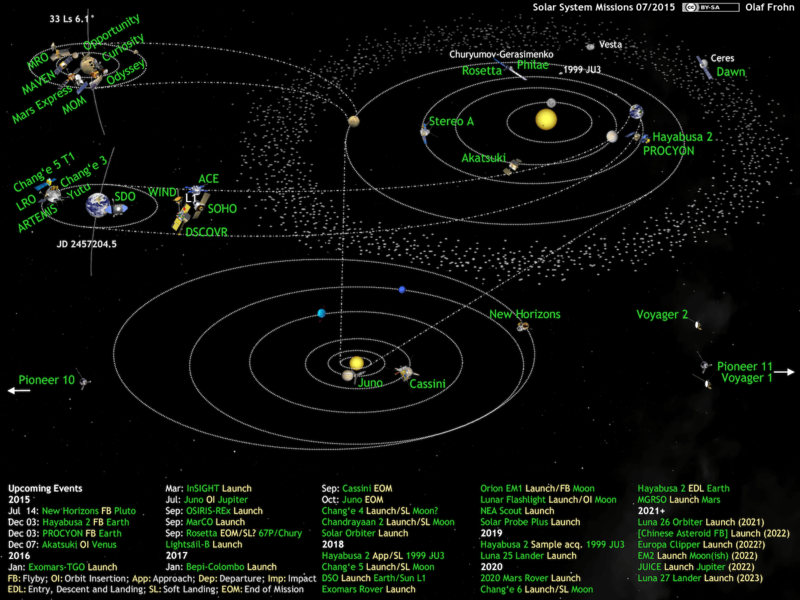 The planetary Society uses the same diagram at this page: What’s Up in the Solar System. Why not do some exploration yourself using your computer? Check out Zooniverse or BOINC! Just two examples of crowd research. I wrote about it here.